Enzymes are the protein molecules which are present in all living things. Enzymes are major food additives, generally used to break down complex molecules into simple molecules for the proper digestion. In addition, Food enzymes speed up and target chemical reactions in food and beverages. Enzymes aid many processes such as digestion, metabolism and elimination of waste in humans and animals and also plays very crucial role in muscle contraction. The enzymes are extensively used in food industry for various purposes. These enzymes can be obtained by extraction from plants or animals or by fermentation of enzymes. Food enzymes are added to perform a technological function in manufacture, processing, preparation and treatment of foods. Global food enzyme market is mainly driven by the growing demand and adaptation of the packaged food products by the consumers. 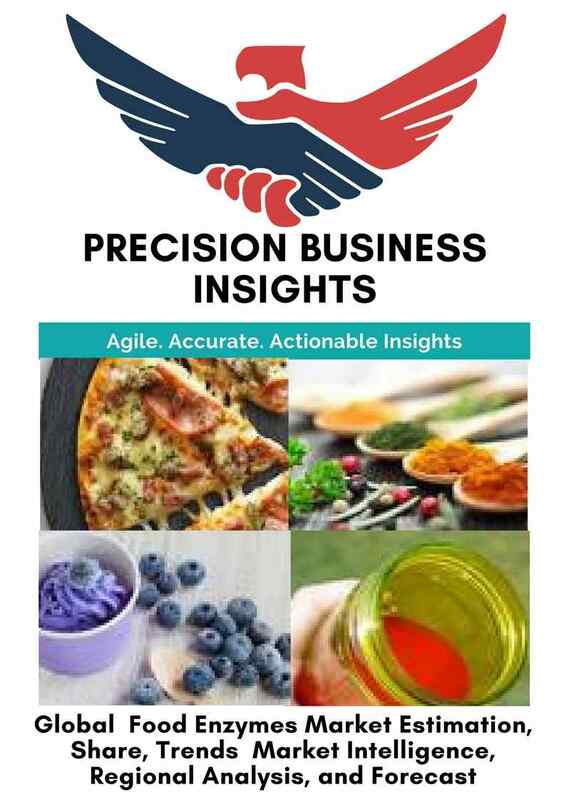 In addition, application of Whole Foods Market Digestive Enzymes in fermentation industry, dairy products, meat processing and alcoholic beverages are expected to boost the food enzymes market during the forecast period. Moreover, technological advancements in food industry led to new type of food preparations also act as positive factor for growth of Digestive Enzyme Supplements market. Furthermore, rising population, food requirements coupled with growing awareness about the healthy food and beverages intake expected to propel the global food enzymes market in coming period. However, some of the side effects that are associated with Whole Foods Market Digestive Enzymes, regulatory issues may act as restraints for the market growth over the forecast period. Market players present in global food enzymes market are engaged in development of the new Whole Foods Market Digestive Enzymes and product launches for strengthening their Digestive Enzyme Supplements market position. For instance, in November 2015, E. I. du Pont de Nemours and Company launched Powermill Enzyme, that reduces the wheat conditioning time up to 50% and reduces the consumption of energy up to 10%. Similarly, in July 2014, ingredients company Koninklijke DSM N.V. launched a new enzyme for industrial berry juice production “Rapidase Pro Colour”, primarily in Europe and bit also in North America in organic products. Furthermore, companies operating in these market also focusing on mergers, acquisitions and collaborations as their key strategies to increase their market share. For instance, in August 2017, Advanced Enzymes Technologies acquired Evoxx Technologies GmbH to boost its market share in the market. Geographically, Global food enzymes market is segmented into five key regions i.e. Latin America, Europe, Asia- Pacific, North America, and the Middle East & Africa. North America food enzymes market is expected to grow at notable rates owing to the factors such as growing adaptation of packaged food products, well-established food and beverages industry and growing awareness related to healthy food consumption. Asia Pacific region is expected to grow at significant rates owing to the factors such as growing demand for the product such as dairy products, beverages and packaged food coupled with developing food industry to meet the requirements of growing population in the region. Europe food enzymes market is driven by the presence of strong Digestive Enzyme Supplements market players, recent product launches and increase in demand for meat and packaged food products. Some of the players in global food enzymes market includes E. I. DuPont de Nemours and Company (U.S.), Novozymes A/S (Denmark), Dyadic International, Inc. (U.S.), Deerland Enzymes (U.S.), Associated British Foods plc (U.K.), Chr. Hansen A/S (Denmark), Koninklijke DSM N.V. (The Netherlands), Advanced Enzyme Technologies (India), Amano Enzyme Inc. (Japan) and Puratos Group (Belgium). Whole Foods Market Digestive Enzymes players such as E. I. DuPont de Nemours and Company (U.S.), Novozymes A/S (Denmark) & few others are focusing on untapped markets and geographies to capitalize the Digestive Enzyme Supplements market opportunities along with attaining significant market shares during the forecast period. In November 2013, Novoenzymes inc. launched food enzyme product, “Acrylaway HihT” used to reduce the acrylamide in food.